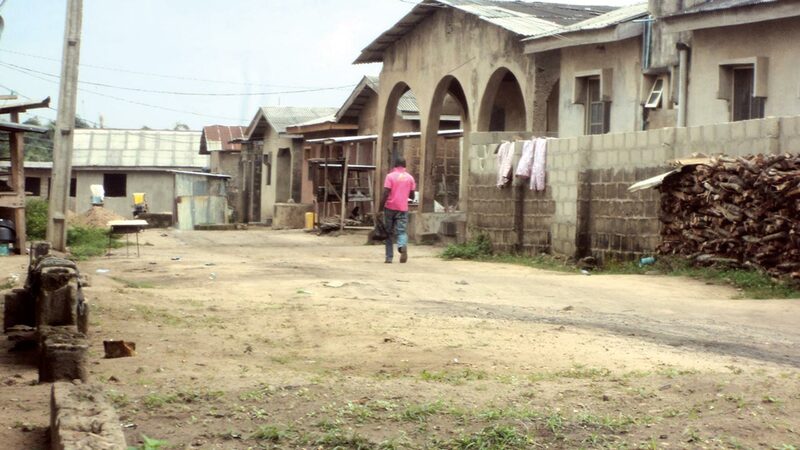 An Ikeja Domestic Violence and Special Offences Court, yesterday heard how a driver, Mr. Gabriel Ogbar, allegedly r*ped his three daughters for several years. Two of the daughters told Justice Abiola Soladoye that the incidents allegedly occurred from when they were 10 and 12 years old, at their home at Oke-Ogbe, Atura, Badagry, Lagos State. They testified against their father during the continuation of his trial. “When I was 12 years old, I was living with my mum and dad. My mother is not always around because she is a businesswoman. My father was a driver at that time. “Whenever my mother was not around, he would come to me at night with a knife or screwdriver or something harmful to threaten me to allow him sleep with me. Because I was scared, I acceded to his requests for s*x. “It continued for a very long time. I could not tell anyone about it because I was scared. When I turned 18, he came to me one night, but I ran to my mum’s pastor, Mrs. Ochiegbu, and reported the incident to her. Sister A alleged that her father continued to ask her for s*x and she had to run away from home for a year. She said she thought the abuse had stopped until her elder sister (Sister B) caught their father defiling their 13-year-old sister. “My elder sister (Sister B) and I went for a vigil. My father did not allow our younger sister to follow us. My elder sister said she had a funny feeling and needed to go home to check on our younger sister. “When she got home, everywhere was quiet. She became suspicious and went to the window to peep. She saw our dad trying to r*pe our younger sister. He had just finished finge-ring her. “My elder sister shouted and ran back to the church to report what happened. Both of us later went back home to get our younger sister out of the house. “He attacked us and we fought him too. Our younger sister ran out and we told her to go to the church until our mum returned. “We reported to our mum and asked our younger sister how long it had been going on. She confessed that our father had been r*ping her for a very long time, and that she told her teacher at school,” Sister A alleged. She added that the abuse was reported to Andrew Ogbar, the defendant’s brother, who threatened them that they should not testify against their father. Sister B, 25, alleged that the s*xual abuse by their father started when she was 10. She said nobody believed her when she reported the abuse to the police. “When it started, he threatened that he would kill me if I told anyone. Because he scared me, I ran away from home to stay with my friends. My mum never knew about it. “One day, he beat me up and threatened me. I could not bear it anymore, so I again ran away from home. He pursued me and I ran to the police station at Iba. “The police asked me what happened and I told them what happened. They thought I was lying. The police later arrested him, but he denied r*ping me, claiming I lied against him because I ran away from home. The police believed him,” Sister B said. She said the family moved to Atura in Badagry and the s*xual abuse continued. Sister B recalled the night she caught her father defiling her 13-year-old sister. “I peeped through the window and saw my father sleeping with my little sister. I went into the house and caught my father coming out of the room he shared with my mum. “I asked my younger sister what happened and she said ‘daddy has just finished sleeping with me’. I was angry. I shouted because I wanted neighbours to know what was going on,” Sister B said. She said her father then became aggressive, threatening her, her sisters and their mother. “The threats were too much. My father hit my mother with a stick and wanted to burn her with petrol. “We reported him at the Morogbo Police Station, but he kept evading arrest until the police caught him. When the police saw the injuries on my mum’s hand, caused by my father, they believed us. That was when we were taken from one court to another,” Sister B said. 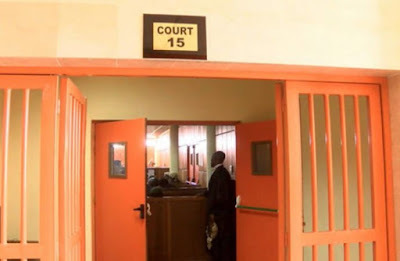 Under cross-examination by defence counsel Mr. Peter Odoeme, she said she caught her father defiling their 13-year-old sister in July 2015. On February 25, the youngest sister gave evidence in private about the alleged defilement. Reporters and the public were asked to leave the courtroom during her testimony because she is a minor. Following the sisters’ testimonies, Justice Soladoye adjourned till May 23 for continuation of trial.